Recent Cutbacks has been making a name for itself in the comedy scene by combining a genuine talent, a love for movies, and a fun, playful atmosphere that engages any audience. 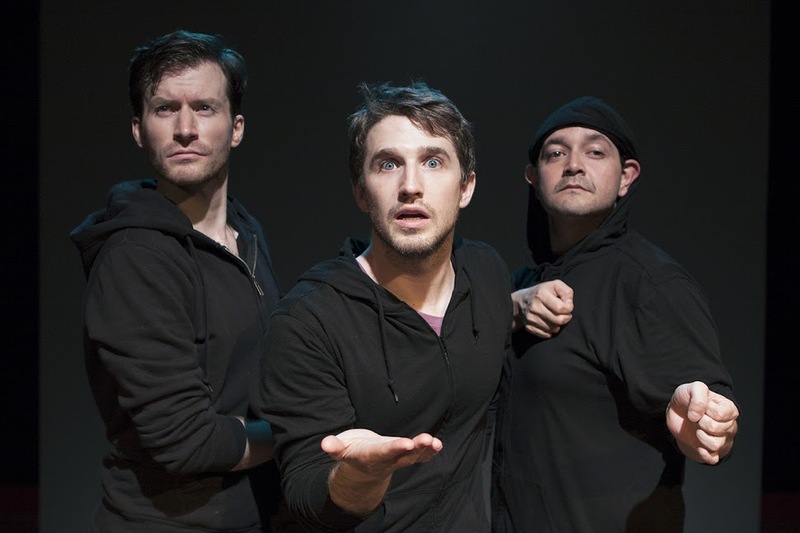 We had the chance to chat with Nick Abeel, Kristin McCarthy Parker, Kyle Schaefer, and Matt Zambrano about their latest production Fly, You Fools. The team teases what we can expect from the new Lord of the Rings-inspired show, how it’s been working together, and how the magic just clicked during their original run of the Jurassic Park parody Hold On To Your Butts. Hi guys! Thank you so much for talking with me today. You are back at The Pit presenting Fly, You Fools after a very successful run of Hold On To Your Butts. So my question is, this time around, why Lord of the Rings? How did that decision come about? Kristin: We wanted to attack something we were passionate about and interested by. We had a lot of ideas up in the air about what our next project might be. Many movies, many of them action-adventure ones. But Lord of the Rings really interested us from a visual standpoint and the challenges it presented and how it differed from Jurassic Park. So that was one of our tie-ins to doing the movie initially. Nick: It seemed to be the most thought out and fleshed-out idea-wise and how we wanted to do it. The style we wanted to lay over it. Yeah, it was the one that was the most ready. Last year, you had held a poll for your supporters to kind of vote on what they’d like to see from your next project. Did that help you choose this time or influence you at all? Nick: We had a lot of conversations with people after shows. “What movie are you doing next?” Well, what do you want to see? The big ones we heard were Independence Day and The Matrix. A lot of 90s movies. We heard some really weird ones. What was the other Spielberg one? Nick: Yes! Schindler’s List. So many people wanted Schindler’s List. I would turn back around and say “Do you really want us to parody Schindler’s List?” It was always clear to me that the impossible nature of recreating a movie like Jurassic Park or Lord of the Rings, the more CGI the better. The more impossible the better. It allows us to better parody it because it’s so grandiose. Kyle, I feel like with Hold On To Your Butts, you did a great job of combining a pair of glasses and the right amount of chest hair to capture Jeff Goldblum’s essence. Was Independence Day under consideration with the new movie coming out this year? Kyle: Nick noticed that one. I didn’t even know it was coming out. He kept talking about it and then I saw the previews for it. Some of these I missed. Like. Jurassic Park. I was like. “Yeah!” Lord of the Rings I saw, but they make fun of me for not seeing the movie so many times. Independence Day would fit into there as well. I mean, I’m excited. What’s the question? [laughs] Jeff Goldblum’s the man. [laughs] I often lose my train of thought when thinking about Jeff Goldblum. Kristin, can you talk a little about how Recent Cutbacks came together? How did you guys start working together? Kristin: Recent Cutbacks didn’t even exist until Hold On To Your Butts. We came up with that idea and assembled the team and made the show and that was only supposed to run for one night in July of 2014. Obviously, it went on to have a much longer life than we originally anticipated. We weren’t… not totally enamored by the idea of starting a new theater company. We figured it might be a smart way to handle the business side of things. On the off-chance that we did anything else, it might be nice to have the company exist as a home base. Recent Cutbacks is essentially the original Hold On To Your Butts team; Nick, Kyle, myself, Kelsey, and Allison. Now we’ve added Blair and Matt to the team for this new project. Our focus as a company has always been to test our physical boundaries and experiment with new modes of theatricality. Experiment with using very little to do a lot. Hence the name. 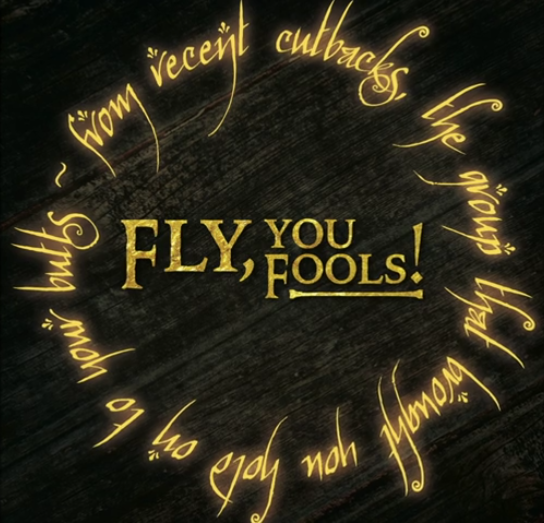 Fly, You Fools features the addition of Matt Zambrano. Matt, can you talk a little about how it’s been working together? Matt: Yeah! I actually got a chance to see Hold On To Your Butts twice last year. I had worked with Nick in a mime company called Broken Box Mime Theater. I had seen some of the work that Kristin had done around town and heard about The Kyle Schaefer. [laughs] When Nick approached me and said they were thinking of doing Lord of the Rings, I jumped at the opportunity to say “If you need a third guy, let me know.” I’m a huge Tolkien fan myself and a huge fan of the company already. It’s been really great. It’s rare oftentimes to find a group of artists you can work with when there isn’t any ego in the room. I think that by virtue of how we build the show, you really have to use your imagination a lot and imagine an ensemble working together towards one goal. In this case, I guess that’s comedy and honoring the source material. It’s been great. When did you guys realize you shared a love of these films and a similar sense of humor and comedy? Nick: I think we just kind of stumbled upon it in making Hold On To Your Butts. Kristin and I, it was supposed to just be a goof project. We were planning to do it one time. I think that was a great environment for Hold On To Your Butts, to build that show. We had a lot of ideas. 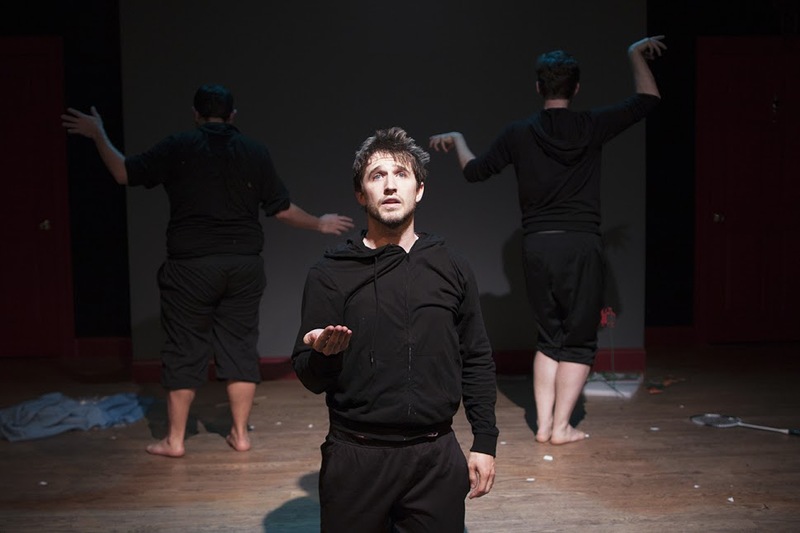 We had been building together in a short play festival for awhile and we’d come up with a lot of things and sequences we jammed into one show. We found the style out of necessity. We used stuff that we had in the room. In looking around and being like, “How do we birth a dinosaur out of an egg? What could we use for that?” And there was just a paper towel sitting somewhere in the room and we’d put it on our hand and go, “Oh, well that’s pretty good. That’s really stupid.” But it was effective and I think that we luckily got a group of people together who were willing to suspend that disbelief and were willing to say, “Yes, this is a paper towel, but to me, in this moment, we’re treating it like it’s in the movie.” We set out to do a shot-for-shot parody. But in terms of the style, I think the silliness of the people in the room combined to create this new style. Kristin: We’re all interested in physical theater for sure. 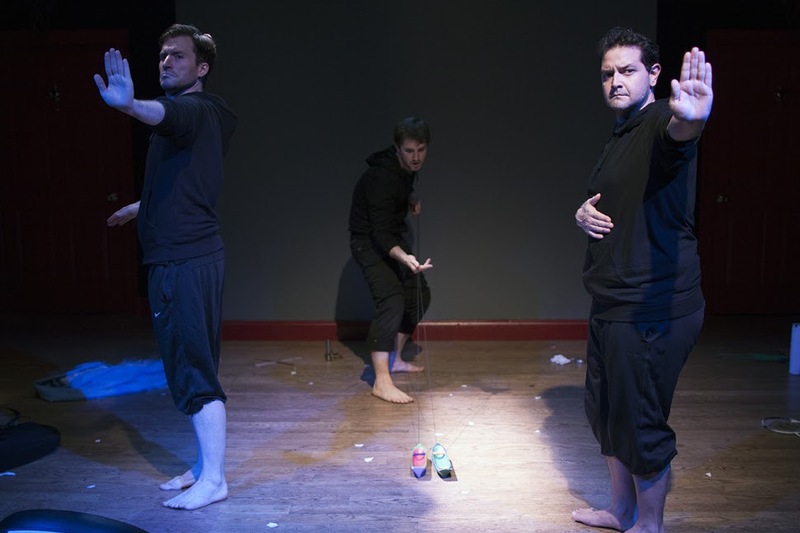 Fly, You Fools has taken on a more sort of dancey aspect due to the fact that Matt and Nick are fantastic mimes and Kyle has a ton of dance experience. When I first got to New York and I was fresh out of college, I thought all of my clown and whatever experience isn’t gonna be helpful to me as I try to be a serious theater director. When we first started working together, we were seeing a lot of theater that we weren’t interested by, so we decided to lean into those forums that we were really interested in and see what came of it. Matt: My experience as an audience member for Hold On To Your Butts and the experience that I think we reach with Fly, You Fools… it’s not making fun of the material, it’s really honoring it in a way that invites the audience in, so you feel like you’re in on the joke the whole time, coupled with really smart and well executed theatricality. I think the audience really can get the best of both worlds in that regard. They’re a part of the show in a lot of ways. Nick: For me, the ultimate in both was “fun.” We see a lot of things and theater artists, and a lot of it is not fun or a joyful experience. To inject a little bit of joy into the world, I think was our No. 1 – the thing we always came back to. Are we having fun? Are we creating a fun experience in the room and for the audience? Do you feel like what you do have to work with kind of allows you to get even more creative and additionally have fun with that live element? Kyle: I think so. I feel like, as we move along through a process that we’ve done, we’ll start to choose limitations or simplifications, I suppose. We kind of throw all the ideas into the room, explore all of them, get way too much going, and then kind of cut back to the thing that works the best. I think initially, especially with Hold On To Your Butts and also with Fly, You Fools, we just didn’t have any other choice. We kind of showed up with the movie and ourselves. Then we have our skills and what’s in the room and whatever we bring into the room. As opposed to designing a specific experience that we’ve thought out in advance or having a concept outside of doing the movie theatrically, we at every step of the way – at every decision, every costume decision, prop decision, blocking, what lines and what scenes we cut and what scenes we do fully – all of those decisions are based off of necessity and finding the story. My experience is of accidentally having stumbled upon the style in that way. We just have so much more fun letting our imaginations work and the audience’s imaginations work then really having some like, really cool props and a ton of stuff and sets. We like to try to do as much with as little as possible. Nick: We’re reminding people how much they remember from the movies themselves. How much of that visual, or the grand style of the movie, is already in their heads. There’s no way we can recreate that. If we can suggest it just enough, they will actually see it in their heads. They’ll see it so much richer than anything we can ever achieve with stuff on stage. How has the fan support been so far? Kristin: It’s been great. It’s been fantastic. We went into this show kind of the same way we went into Hold On To Your Butts. We don’t really know what we have until we get it in front of an audience. That first preview for Fly, You Fools was definitely pretty scary but we asked everyone to hang out with us at the bar and we got to talk to everyone and we got some really great feedback on the specific things that people loved. I think there’s a somewhat more obsessive nerd contingency with Lord of the Rings than there is for Jurassic Park. People who are like, really deep into the lore of Lord of the Rings and Tolkien. We’ve gotten some really interesting feedback from them as well. I think people are just excited to see something that they love treated so reverently and that goes into detail about the quirks from the book and movie that they love and remember. Matt: I’ve heard people who have seen Hold On To Your Butts say that this is such a great follow-up and it’s a perfect companion piece to that show. And people who haven’t seen Hold On To Your Butts say, “I didn’t know what to expect, but it surpassed whatever expectations I had.” I think that’s the intention with this show: to really catch the audience off guard in a great way. Nick: I think it speaks more to other theatrical experiences people have had. I think people are just surprised to see something that’s fun and done just for the sake of fun. It’s pure joy. I think that catches people off guard the most. It’s only an hour long and hopefully leaving people wanting a little more. It’s a great feeling after the show to have people chat you up and [say] what movie we should do next, and I’ve always been blown away by how kind people are after the show. It’s exciting. There are all these little things in Hold On To Your Butts that are there for the fans. Everything from The Ian Malcolm cackle to the spotlight on Muldoon’s thighs. Can we expect that same sort of tongue-in-cheek love in Fly, You Fools? Kristin: Absolutely. We always ask ourselves, “What are the moments from the movie that stand out to us? What would we miss if we didn’t see? What are the iconic things?” Those are the first big question marks that we try to answer. I think we have plenty of people coming to the shows who haven’t seen the movie ever or haven’t seen it in a long time. I think some of those things might seem insider-y but I think we surprise people with how much they remember and remind them of the little moments of the movie they loved but forgot about. Nick: My favorite one from Hold On To Your Butts is when BD Wong as the scientist comes in and they’re talking about when Ian Malcolm is [asking] how are they gonna breed? And [BD Wong] says they’re all female and Ian says life will find a way. And BD Wong has this weird shot, which is like the No. 1 thing I remember from Jurassic Park, where he’s holding his pencil onto his clipboard and he says, “So you’re saying a group composed entirely of females will…” and he very deliberately picks up his pencil and says “…breed?” I do that in the show and maybe once out of every six shows, one guy will be like “Ahhh.” Those stupid little details. Ultimately, it’s more a joke for us. We have a lot of those in Fly, You Fools as well. Finally, in a few words, why should people come check out Fly, You Fools? Matt: I would say for any fans of Tolkien and the world that he created … it’s an hour-long live-action, non-stop, shot-for-shot, pure joyful experience. I think it’s unlike anything else you’ll see around. Kristin: It’s a ton of fun. It’s under an hour. There’s a bar in the theater. It’s a party. It’s a good time. Kyle: We had a blast doing it. I am constantly surprised before we start every show. I’m like, this is the night that it’s going to be revealed how dumb this is and everyone is gonna walk out. In my experience, everyone else has a blast as well. If we have a great time – awesome. That’s how I feel about improv shows. But this show, at the end, we had a blast, the audience had a blast, and it felt like a party. We all hung out. I always leave with a high. So check it out. Nick: I guess I would say it brings you back to that feeling you had as a kid playing make believe. It’s three, four fully grown adults who should know better but don’t. We’re kids playing make believe. I feel like the thing that makes you guys so great is that you obviously share a love for this, the comedy, and the movies you’re focusing on. I’ve said before that you can’t teach this kind of thing and your talent is very genuine. It makes it a real joy to watch and experience. I can’t wait to experience all the sweat all over again. Kristin: It will be sweaty, don’t you worry. Thank you so much to Kristin McCarthy Parker, Nick Abeel, Kyle Schaefer, and Matt Zambrano for taking the time to chat with us! Fly, You Fools is currently playing at The Pit through May with select performances featuring an encore performance of Hold On To Your Butts. 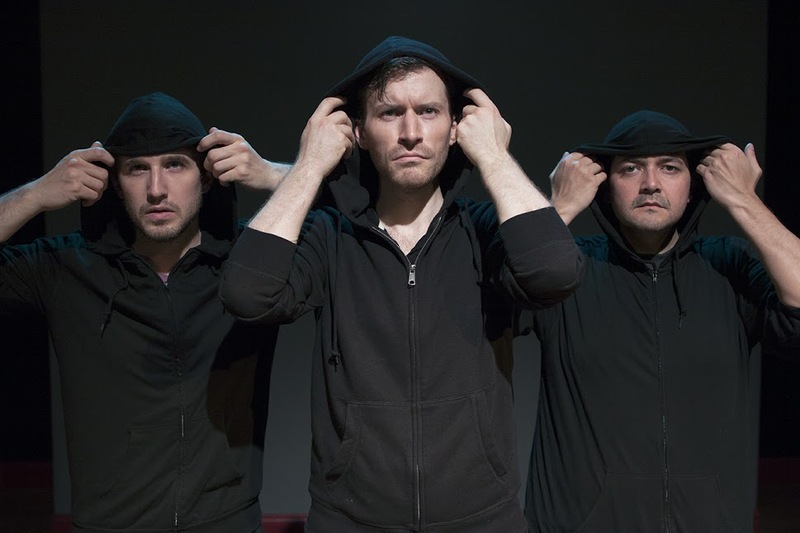 For more information on tour dates, please visit The Peoples Improv Theater.